"Gerard is a rare visionary. He would be a great asset for DARPA and the State Department. His novels are tropical, relevant, and written with a cinematic style and tone." ​Ominous videos suddenly appear on YouTube. Someone recorded and posted several terrorist events that occurred in England. More importantly to Scipio, the face of a familiar female is identified in one. 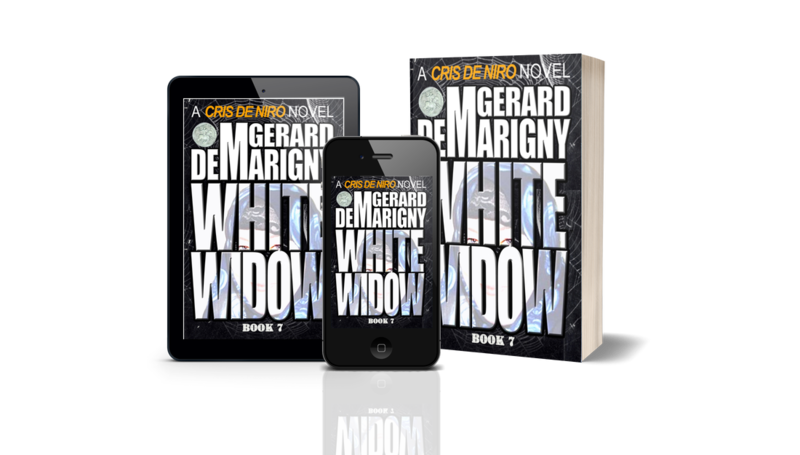 Take the journey … Read the entire CRIS DE NIRO series in order! 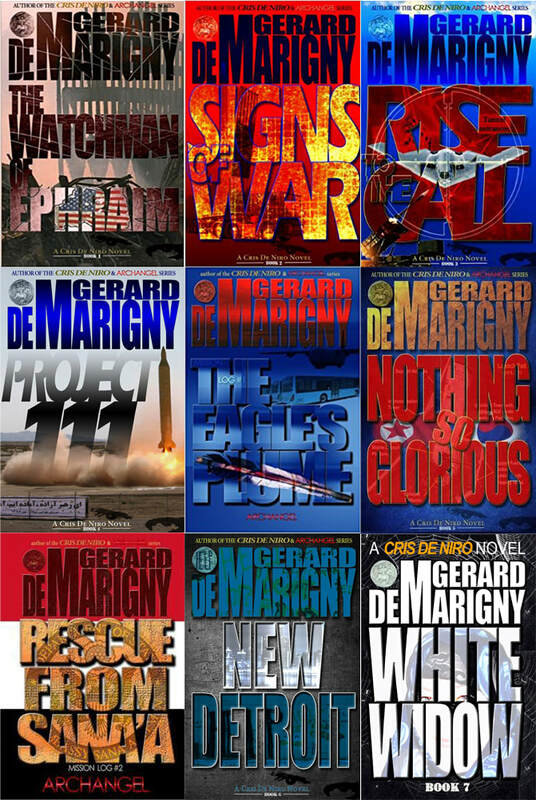 Start at Book 1, THE WATCHMAN OF EPHRAIM and read the books in order to learn what started De Niro's mission against terrorism, how he formed The Watchman Agency (TWA), acquired his incredible team, and overcame the most diabolical global terrorists. Born-and-raised a cowboy, Vietnam vet Joshua Jacobs looks out across the West Texas plain. All the land stretching to the uncluttered western horizon is his. From just a patch of land he built an empire, one he runs by his own rules. 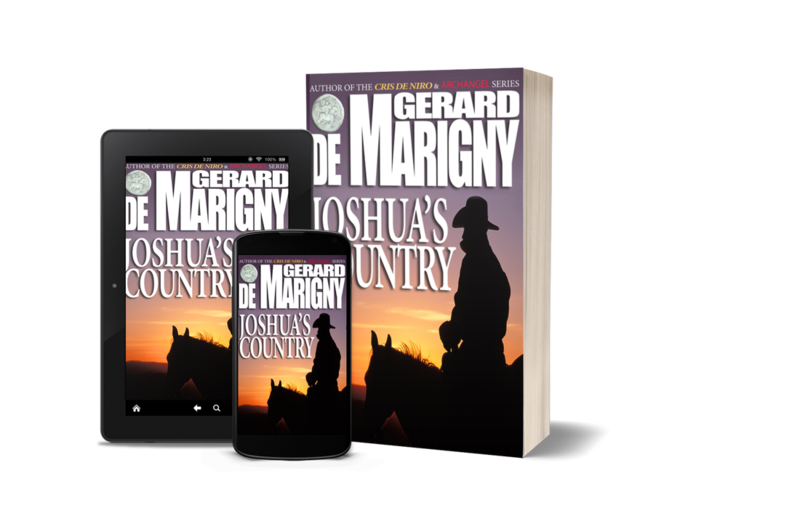 Yet, Joshua learned a hard lesson … that his family couldn’t be run the same way. Threatening Joshua Jacobs’ grandson was a mistake. Now, an Islamic Extremist’s hate for America faces an old cowboy’s love for his grandson.